We’ve practiced all season for this great day! Now is the time to have Fun and Run! All RBO Runners: students, mentors and volunteers must wear your RBO shirt. 5K Runners: plan to arrive at 6:30 AM. Race starts at 7:30 AM. Half Marathon Runners: Arrive at 8:30 AM. Race starts at 9:30 AM. We’ll be there from 9 am to 4 pm. Warm-up at the RBO Booth in ‘Race Village’ at the start line. Get in line together for a fun run! Hooray to a Great Run Season! Practice will kick-off with Awards and Recognition. After practice, it is essential that you foam roll, stretch, and hydrate. Will warm-up with fun drills before running. · Grades K-2: Will run 1.5 to 2 miles = 3 big loops around the Channel. 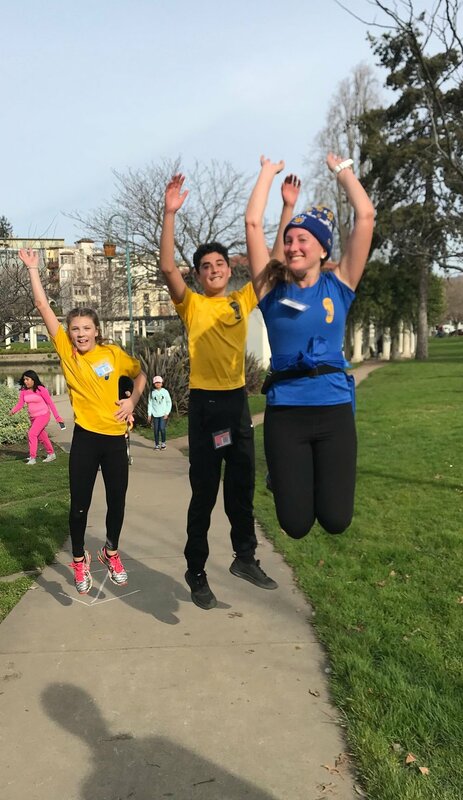 · Grades 3-5: Is planned to run 2 miles at Lake Merritt and then up the Cleveland Cascade stairs. · Grades 6-12: Will run 2.5 to 3 miles to the Columns at Lake Merritt and then up the Cleveland Cascade stairs. · After a .5-mile warm-up you will run a relaxed and comfortable 5 to 6 miles. Saturday, there will be a special guest, Magda Boulet, Olympic marathon runner and 2015 Ultrarunner of the Year. Magda will share advice on how to prepare for the 5K and half marathon race. As well as, her journey as an immigrant in the U.S. and how she became an athlete and found success. It’s a great inspiration that everyone will enjoy. 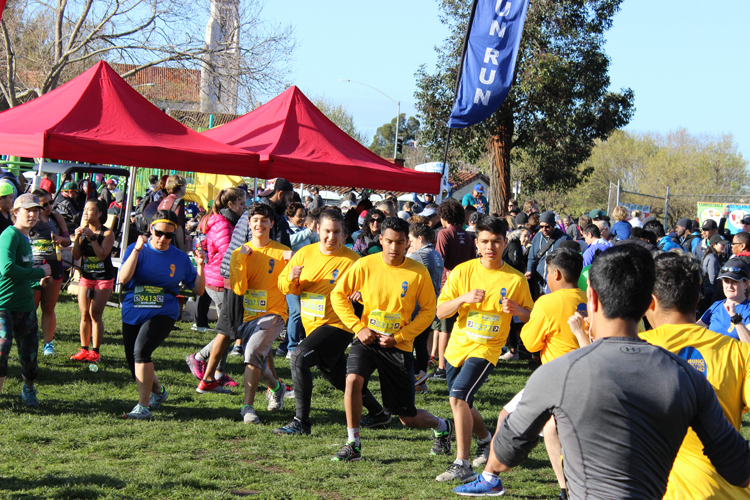 The LMJS Couples Relay is a two person relay with each team member running one 5K lap around Lake Merritt, Oakland. Single runner 10K option available. For Runners that have registered: Plan to arrive at 8 AM, race begins at 9 AM. to Collect Your Bibs and to Warm-up. 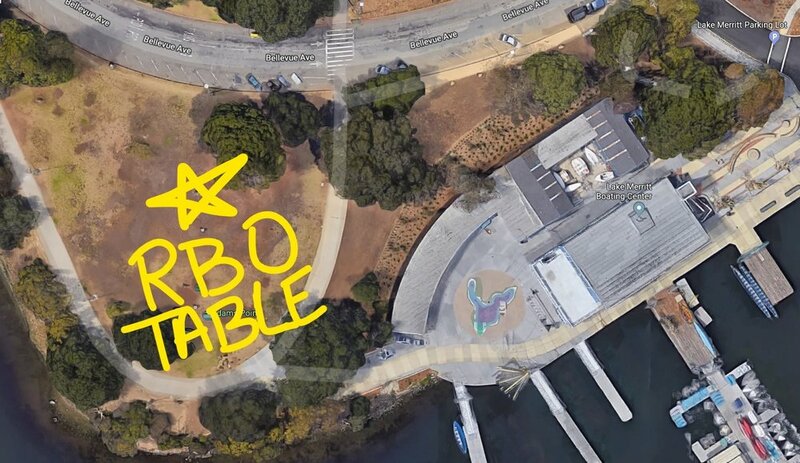 Be on the look-out for the RBO yellow table. Goodies from race sponsors will be on site along with our traditional banana racing bread. Team members might receive a lightweight backpacks. 4 more weeks before the Oakland Running Festival. Keep up you’re good attendance and running habits for a fun day! Race day in San Francisco at Golden Gate Park. Meet us at Channel Park at 6:15 am on Sunday, February 3rd. If you have volunteered to help at RBO’s water station, plan to be on-site at 6:30 am. We are the first water station. Early runners are expected to pass at 7:00 am. Spring 2019 - Practice Cancelled due to bad weather conditions! CANCELLED! First practice for K-12 Students! Make to drink plenty of water before you come to practice and have a good night’s sleep before practice! We’re off to a good start…join us! Senior scholarship meeting after practice. Come join us on Saturday January 5 for the first practice of the season. Trail run in the Oakland hills… Another beautiful park and if you have time, stay at Chabot Space Center after the run for Science Day! Hellaween is a fun run around Lake Merritt with a Costume Contest! Sign-up here - Deadline to sign-up is Saturday, October 13! RBOrunsOAK - Save the Date! Save the date for RBO big annual fundraiser…. A nice run and potluck in the park…. Sign-up here before Sunday, Sept. 30th! The race is next weekend! watch your diet and your sleep! Two weeks before East Bay 510K - By now, make sure you registered for the race! Join RBO at an Oakland A’s game on September 23 - Kids Appreciation Day! Half way in the training…. Last chance to register! By now you are running 1 to 2 miles…. Come join us for a great season with 2 great races: East Bay 510K and Oakland Turkey Trot and a couple of trail runs in between - You still have time to enroll on week 2!